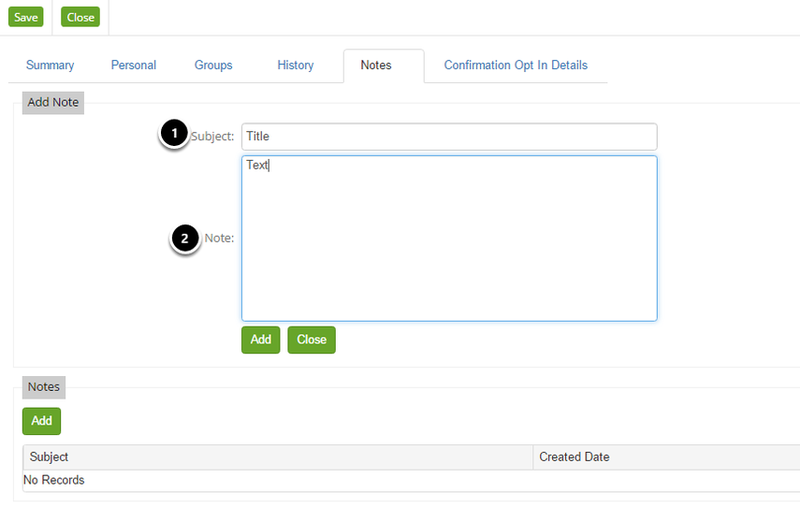 In a contact record you have the ability to add notes or memos . You can do this in the Notes tab of a Contact Record. Give your note a title to refer to. Here you can see the list of notes stored on a contact record. You can go into previous notes to edit, as well as creating new ones. Don't forget to Save before exiting! Next: How Do I Manually Unsubscribe a Contact?